A rival claims management company has hit out against Money Boomerang’s assertion that misselling accusations for mortgages should be directed at brokers, saying ultimate responsibility lies with the lender. 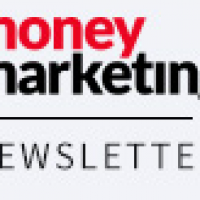 Money Marketing’s sister title Mortgage Strategy revealed last week that CMC Money Boomerang is finally ready to launch a TV campaign on mortgage misselling, but specifically targeting mortgage intermediaries. But the CMC processing firm Commercial Remedies Group argues that CMC firms are failing to recognise the complexity of mortgage claims. CRG operates as a processing centre for other CMCs in order to determine the legitimacy of the submitted complaints. The firm’s director Simon Helliwell, who is also a former sub-prime broker himself, says: “What you will get is a load of PPI companies who want to do this now without realising the depth you need to go since the grounds of the claim are far more complex. “It is no good claiming on a misselling principle. It is the lender who is held accountable on the basis of negligence because it is the underwriter who signs it off at the end of the day. The processing firm currently has 3,000 cases in the pipeline and generates around 150 a week. It is expected that 70 per cent of these cases will be successful since they are pre-qualified. Helliwell estimates that with around eight million mortgages completed in the UK over the last 10 years, mortgages could potentially be more lucrative than PPI. 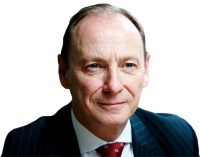 But the Association of Mortgage Intermediaries’ chairman Pat Bunton says it is intermediary firms, not lenders, who will be hurt by these claims, even those who are able to prove their innocence. He says: “It is the seller who carries the responsibility for the advice they have given and, if that is incorrect, that is their responsibility. This is not something you can transfer to the product manufacturer unless the complaint itself is to do with the nature of the mortgage contract itself. “What is wrong in all of this is that intermediary firms, even if they are able to answer and defend themselves, will still get charged £500 per case. This is potentially very unfair and distasteful. It is about time CMCs are held to account for some of these actions. Who is the compliants body for CMC’s? Would it be the MOJ? Are the CMC’s charged everytime a complaint is lodged against them? I think every regulated organisation should counter sue for any mis-sold claim, surely there must be something now to combat the mis-selling of false claims? Surely we can stand together and come up with a plan of defence if not a plan of attack. What they are doing cant go on. This is getting beyond a joke and these CMS’s are just trying to kick a full professional service market when they are down. I am getting sick to the back teeth of it and yet nobody who is anybody seems to be interested in taking them to task… I am a nobody in the whole scheme of things but surely there are some big hitters out there that can start the ball rolling, give us something to get behind, we as the financial services community will throw all of our weight behind it. The time for lying down and accepting this has past, lets fight back and show we are not willing be taken for a ride at their expense. Lets do it now before its to late, otherwise there will be nothing left to fight for.